In many ways Insecure Men – the band led by the fiercely talented songwriter and musician Saul Adamczewski and his schoolmate and stabilising influence, Ben Romans-Hopcraft – are the polar opposite of the Fat White Family. Whereas sleaze-mired, country-influenced, drug-crazed garage punks the Fat Whites are a “celebration of everything that is wrong in life”, Insecure Men, who blend together exotica, easy listening, lounge and timeless pop music, are, by comparison at least, the last word in wholesomeness. 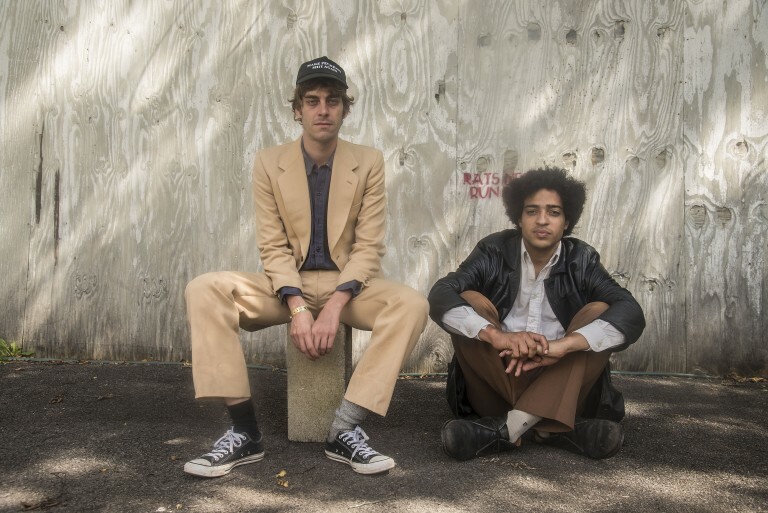 The band originally formed in 2015 in the cramped confines of The Queens Head pub, Stockwell, in the Fat White Family’s notorious South London ‘practice space’. With so many hard living musicians all crammed into one room and other tenants in the same building, it soon became clear, says Saul, occasionally they had to make music that wasn’t “just noise” so he started writing quieter, more reflective songs. He says despite their shared origins he felt that “what I did in Insecure Men couldn’t really be expressed via Fat White Family”. The group started as Saul, Nathan Saoudi (FWF’s suave organist) and Ben (of the group Childhood). Saul explains that he has been round Ben his whole life: “I was always trying to corrupt Ben and his twin brother, to try and get them to bunk off primary school in Herne Hill but they never would.” And he remains incorruptible to this day: “Ben is very centred, calm, rational and nice – which is what makes our relationship work because he’s everything I’m lacking.” This is just as well because Insecure Men is more than just a band for Saul – it’s a project for sobriety. The project is the thing that he throws most of his extra energy into now that he has made serious – and so far successful – efforts to deal with his long standing drug problems. He recorded all of the songs he wrote at The Queens Head onto tape at Sean Lennon’s studio in upstate New York, while visiting with the Moonlandingz. This tape, recorded on his own in a corridor onto an ancient Tascam while in a foul mood with his mates, essentially became Insecure Men’s self-titled debut album as more and more layers were dubbed over the top until nothing of the original demos even remained. Saul, a true head and music lover lists some of the influences on their sound, mentioning the exotica of Arthur Lyman, the early electronic pop of Perrey and Kingsley, the supreme smoothness of The Carpenters, the songwriting chops of Harry Nilsson and the hypnagogic uncanniness conjured up by David Lynch, describing what they do as “pretty music with a dark underbelly to it”. The band has already had a relatively hectic history (Cole, Zumi and Oakley from US garage rock outfit Black Lips played on some of the early sessions) but they have settled down into a stable (but large) line-up centred round Saul (vocals/guitar) and Ben (bass/backing vocals). 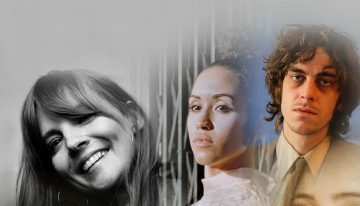 Original lapsteel player Sean Lennon (who co-produced the LP) has been replaced by Marley Mackey (Dirty Harrys) who is the son of Steve Mackey of Pulp. 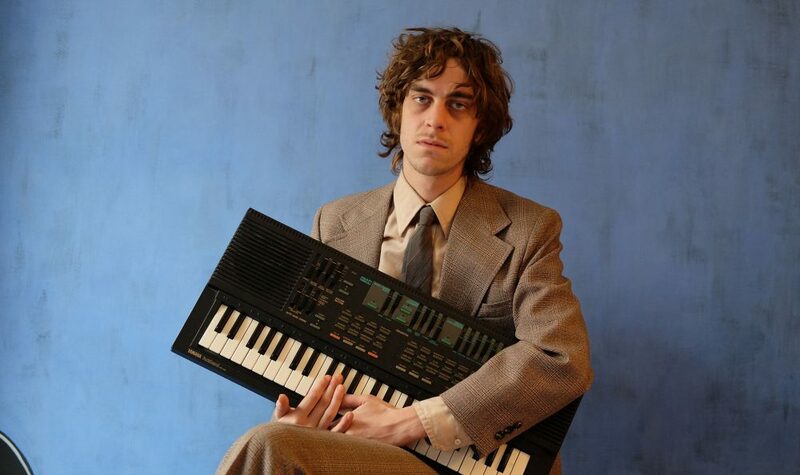 “Huge John Shuttleworth fan” Victor Jakeman (Claw Marks) plays the organ; Joe Isherwood (We Smoke Fags) plays keyboards and saxophonist Alex White is on loan from Fat White Family. Arguably, the lynch pin is a mysterious South London music teacher known only as Steely Dan, who plays vibraphone and steel drums. And Saul’s old pal, Jack Everett (Fat White Family, Warmduscher) anchors it all on drums. There’s another old friend lurking behind the scenes as well. 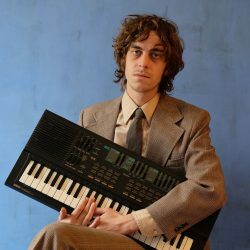 Saul reveals: “At least half the lyrics on the record were written by (Fat White frontman) Lias. The words don’t come as naturally to me as they do to him. He would sit down with me and talk about what I wanted to say and how I wanted to say it. 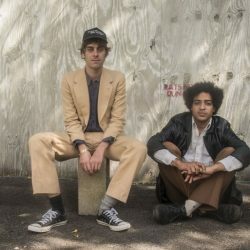 It was a new way of working for us.” In fact it was Lias and Nathan’s older brother, who lives in China where he works as a DJ, who always said that the Fat White Family should actually be called: “The Insecure Men Who Look At their Phones Too Much.” Saul loved the name and grew tired of trying to persuade his friends to start a band with that name, eventually taking it for himself.